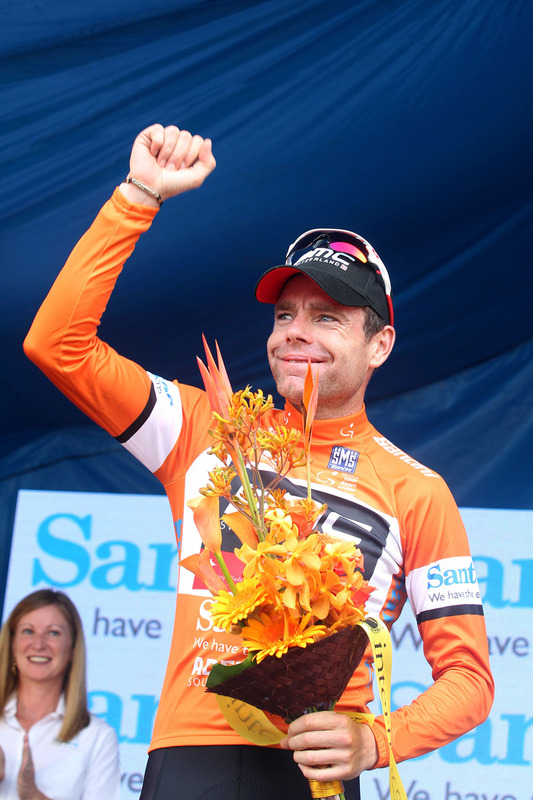 Former world champion and 2011 Tour de France winner Cadel Evans is leading the Tour Down Under after a gutsy solo victory in Campbelltown today. Sky and Orica-GreenEdge are set to regroup ahead of Saturday’s penultimate stage to Willunga Hill after Evans showed superior climbing prowess on the decisive 2.8km Corkscrew climb that animated the third stage. Team Sky leader Richie Porte followed Evans when he made a move from the main group at the beginning of the climb, but, some 8km from the finish, could not match a second acceleration on the twisting ascent. 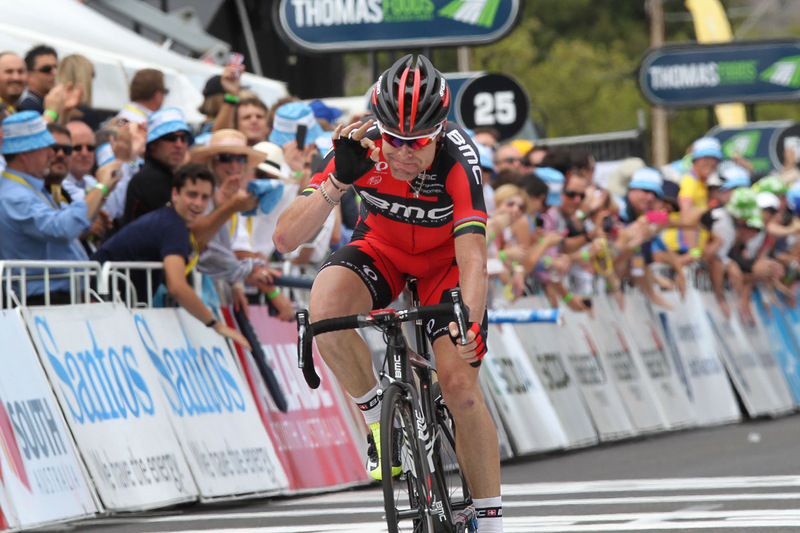 Overnight race leader Simon Gerrans (Orica-GreenEdge) caught Porte and the duo worked together. However, Evans, who was virtual leader when he reached the King of the Mountain check, was flying, and mastered the technical descent that followed. 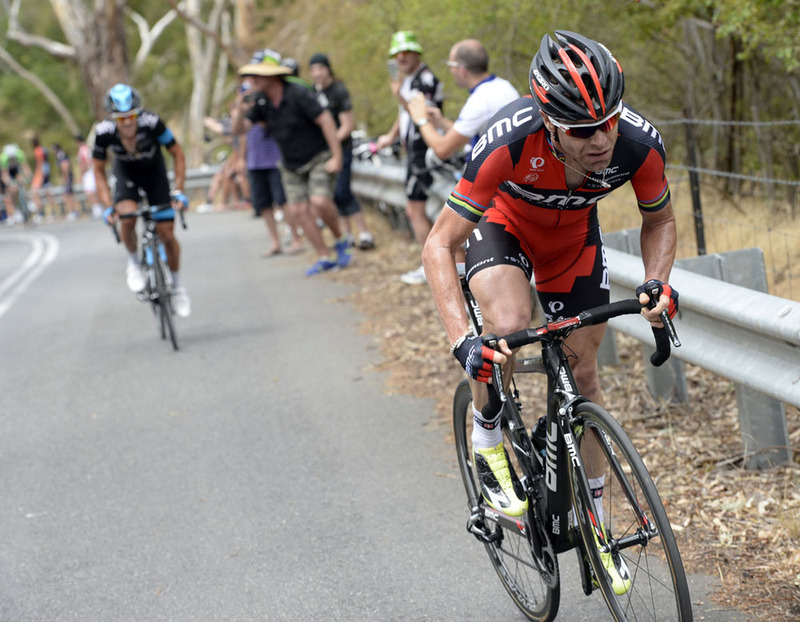 Porte and Gerrans rejoined the main group within the final 2km and missed out on the podium with Nathan Haas (Garmin-Sharp) finishing second, 14 seconds adrift of the new race leader, and stage two winner Diego Ulissi (Lampre-Merida) third. Welshman Geraint Thomas is better placed than designated Sky race leader Porte in the overall standings and the team will look out for both in Saturday’s queen stage. Thomas sits sixth overall, 29 seconds in arrears of Evans, with three race days remaining. Porte sits just outside the top 10, a further four seconds adrift. “Like it stands now, we need to play them both,” sports director Kurt Asle Arvesen said. “We need two guys up there to try to win. The penultimate stage is now more imperative for the Orica-GreenEdge team that came to its ‘home’ race with the aim of supporting Gerrans to stage wins and the overall title. The Australian national road champion slipped to second overall after today’s 145km trek in hot conditions and is 12 seconds adrift of Evans. “We’ve got work to do but we’ve got some days to do it in,” White said. “Willunga is a totally different climb. It’s not as hard as the Corkscrew and it’ll be a bigger group that arrives at the top of Willunga. Popular race veteran Jens Voigt (Trek) as well as Travis Meyer (Drapac), Andriy Grivko (Astana) and Jerome Cousin (Europcar) comprised the main break of the day that escaped early in the piece. It broke up within the final 20km with Voigt and Grivko the last to be reeled in some 15km from the finish. Sky is set to take it easy in tomorrow’s 151.5km stage, from McLaren Vale to Victor Harbor, which suits sprinters.